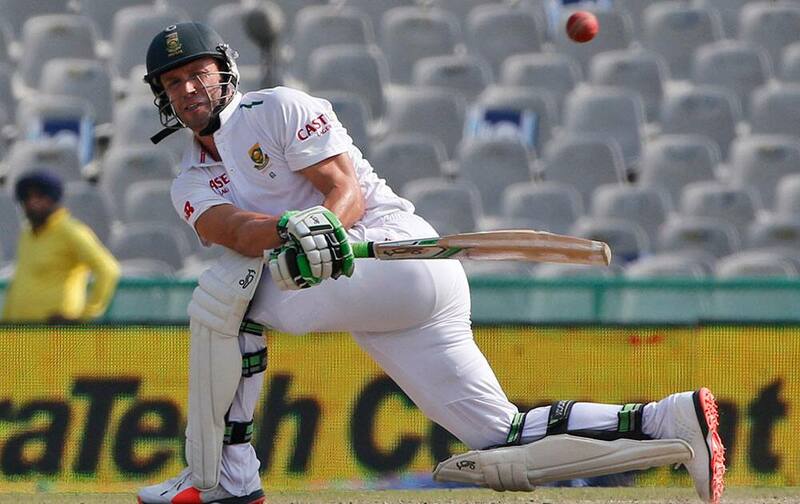 South Africa's AB de Villiers plays a shot during the third day of their first cricket test match against India in Mohali. 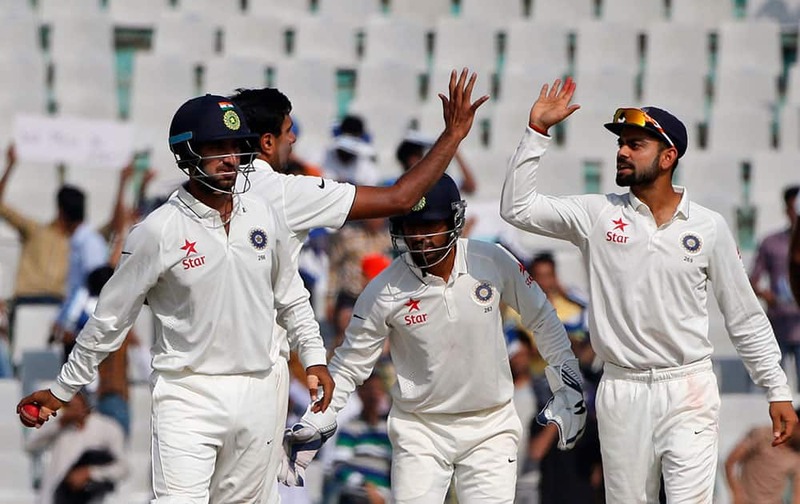 Virat Kohli, right, celebrates with Ravichandran Ashwin, second left, after the dismissal of South Africa's Kagiso Rabada during the second day of their first cricket test match in Mohali. 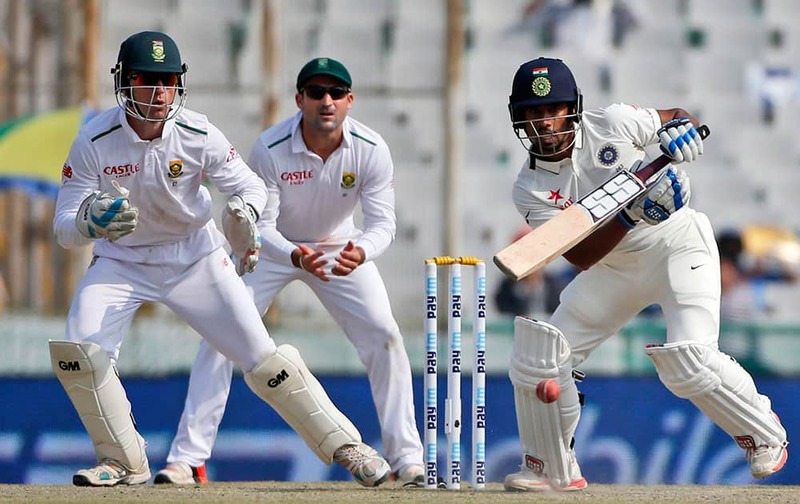 Wriddhiman Saha, right, bats with South African wicketkeeper Dane Vilas, left, and Dean Elgar fielding during the third day of their first cricket test match in Mohali. 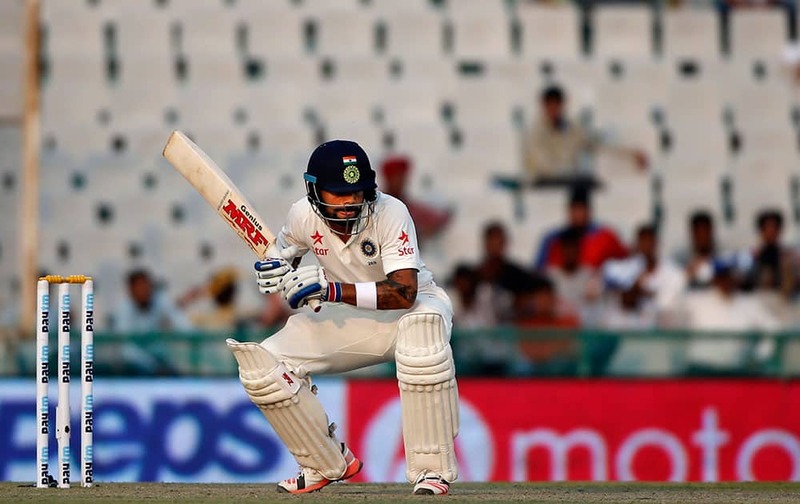 Virat Kohli bends to avoid a ball during the second day of their first cricket test match against South Africa in Mohali. 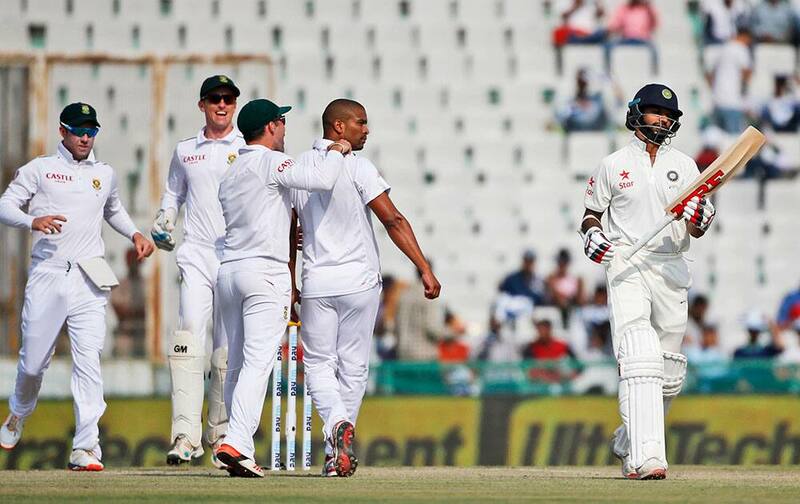 Shikhar Dhawan, walks back to the pavilion after being dismissed by South Africa's Vernon Philander, second right, during the second day of their first cricket test match in Mohali. 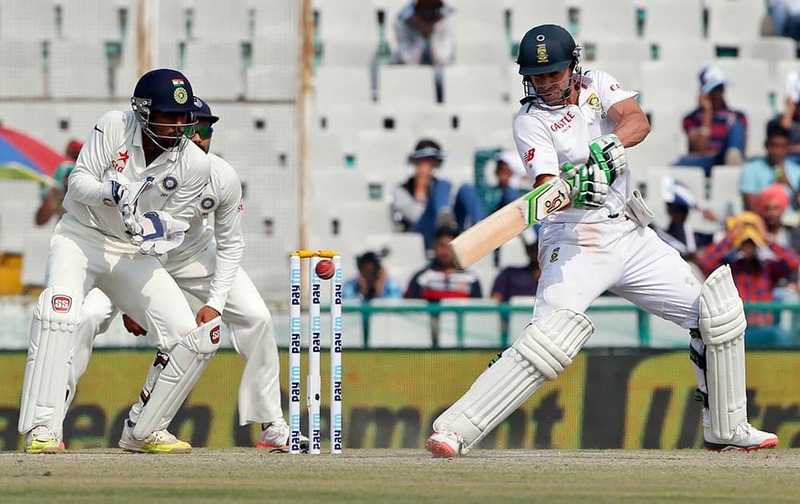 South Africa's AB de Villiers plays a shot during the second day of their first cricket test match against india in Mohali. 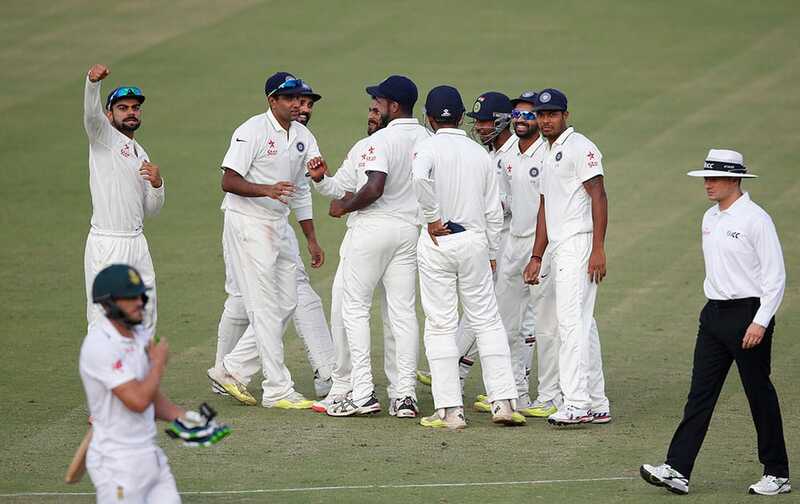 India's captain Virat Kohli and his team celebrate the wicket of South Africa's Faf du Plessis who was bowled by Ravindra Jadeja during the first day of their first cricket test match in Mohali. 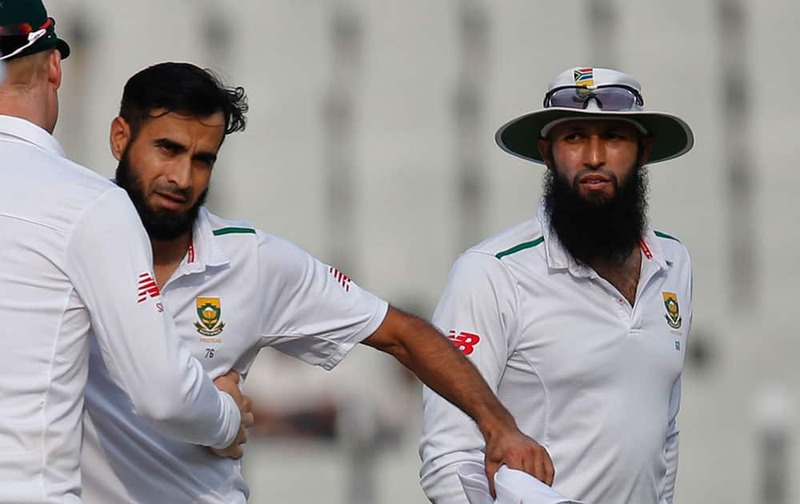 South Africa's Imran Tahir celebrates the wicket of India's Varun Aaron as captain Hashim Amla watches during the first day of their first cricket test match in Mohali. 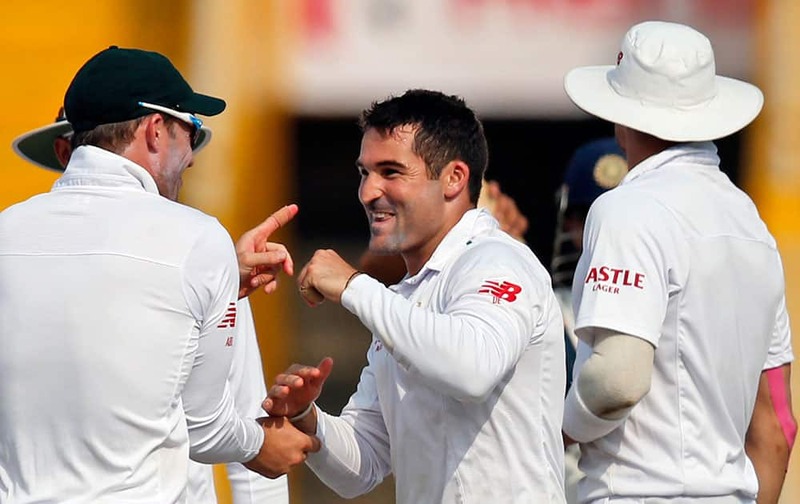 South Africa's Dean Elgar, center, celebrates the dismissal of India's Amit Mishra during the first day of their first cricket test match in Mohali. 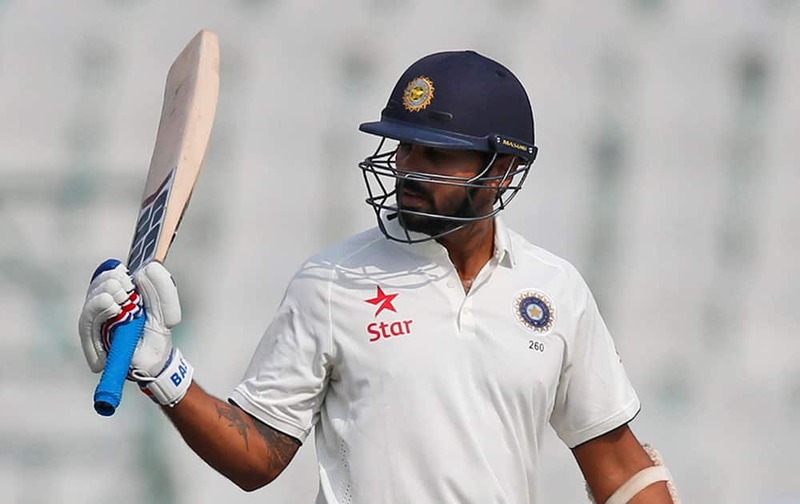 India's Murali Vijay raises his bats after scoring half a century during the first day of their first cricket test match against South Africa in Mohali. 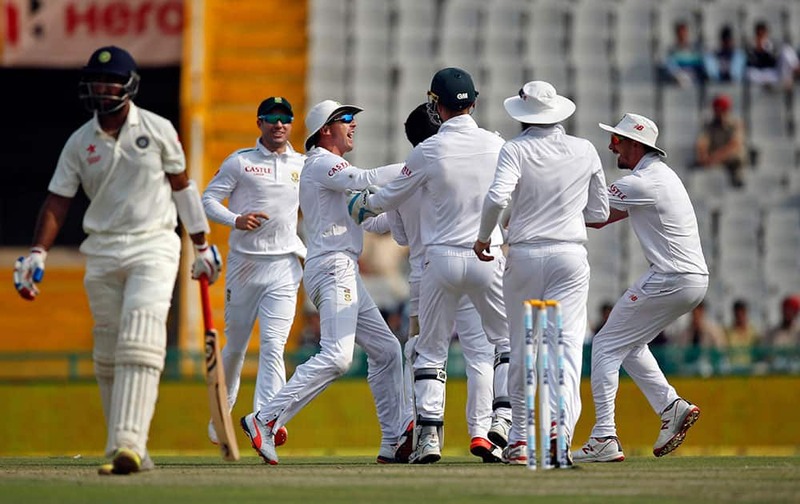 South African cricketers celebrate the dismissal of India's Cheteshwar Pujara during the first day of their first cricket test match in Mohali. 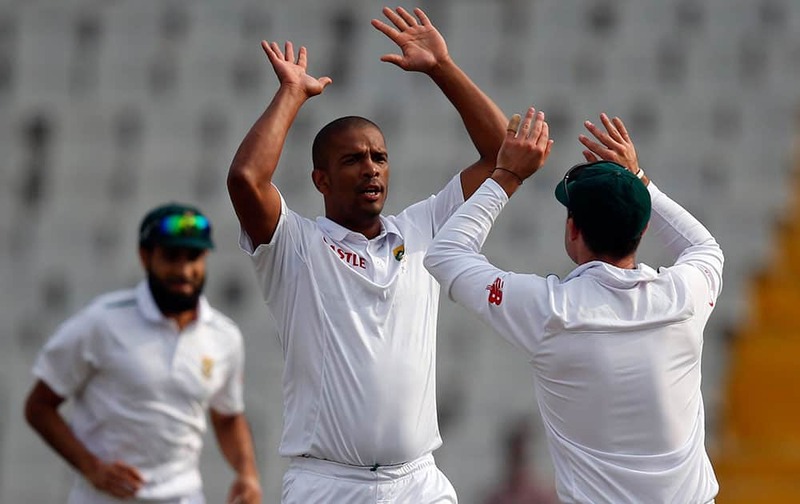 South Africa's Vernon Philander celebrates the dismissal of India's Shikhar Dhawan during the first day of their first cricket test match in Mohali.